Would you like to not only own a piece of Ex Libris history? But also be able to wear Ex Libris history? Here is your chance! A limited, elegant Precious Metal Jewelry (by Dianne van Giersbergen) necklace created out of the the guitar strings Bob Wijtsma used for recording “ANN” – ‘Chapter 2: Anastasia Romanova’ ánd with beads worn by Dianne herself at a not yet announced Ex Libris project. 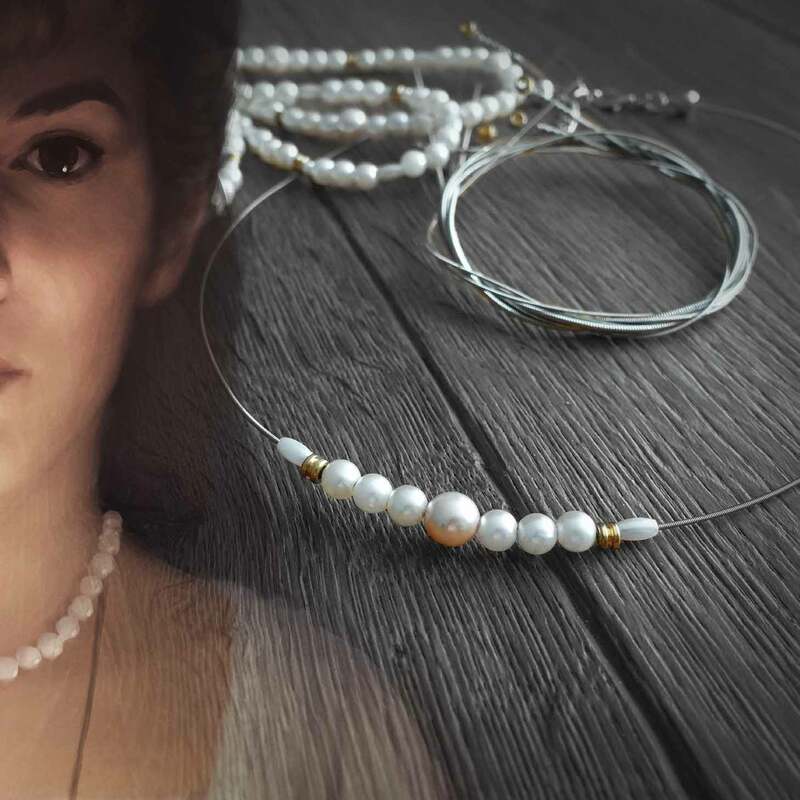 A limited, elegant Precious Metal Jewelry (by Dianne van Giersbergen) necklace created out of the the guitar strings Bob Wijtsma used for recording “ANN” – ‘Chapter 2: Anastasia Romanova’ ánd with beads worn by Dianne herself during a secret Ex Libris project.